Before going on vacay, I try to empty my food cabinet as much as possible. 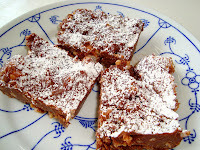 This Rocky Road Crunch Bar recipe from Nigella Lawson comes in handy! You can add so much to a Rocky Road Bar. 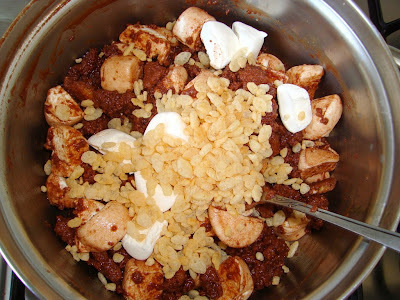 Besides chocolate and marshmallows, you can add nuts, cookies, biscuits, rice krispies, you name it. Anything that will make it crunchy, you can add. Now the best part of these Rocky Road Crunch Bars is that they are incredibly easy to make and so yummy! It only took me 15 minutes to make them, stash them in the refrigerator for an hour or two and then devour them! Rating: 5 out of 5. - Melt the butter, chocolate and syrup in a heavy based saucepan. Scoop out about 1/2 cup of this melted mixture and put aside. - Put the biscuits/cookies into a freezer bag and then bash them with a rolling pin. You are looking for both crumbs and pieces of cookies. 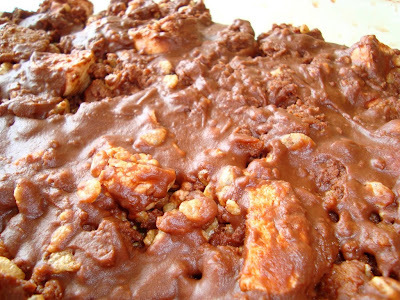 - Fold the cookie pieces and crumbs into the melted chocolate mixture, and then add the marshmallows (and rice krispies, if using them). - Pour into a 9-inch square foil tray; flatten as best you can with a spatula. Pour over the reserved 1/2 half cup of melted chocolate mixture and smooth the top. 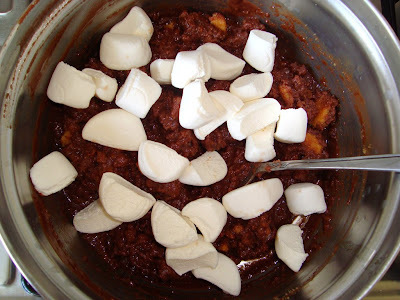 - Refrigerate for about 2 hours or overnight. 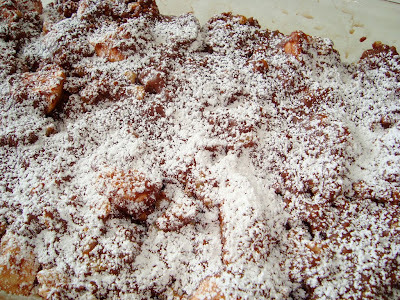 - Cut into 24 fingers and dust with powdered sugar by pushing it gently through a tea strainer or small sieve. 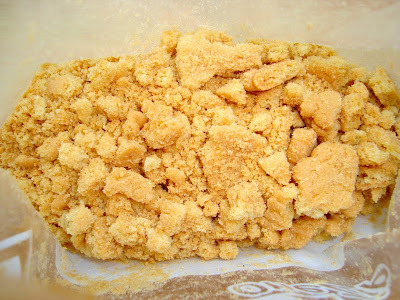 The crushed biscuits, in a freezer bag. Making my rocky road. I did not use mini-marshmallows; I had a bag of big marshmallows, so I just cut them in little pieces (with a scissor). Adding rice krispies for extra crunchiness. In a pan, before freezing. And this is how it comes out of the fridge. Topped with sieved confectioners' sugar. I got about 8 bars out of it. So incredibly easy, yet so delicious! Love them! WOW!! I bet my bf will LOVE these! 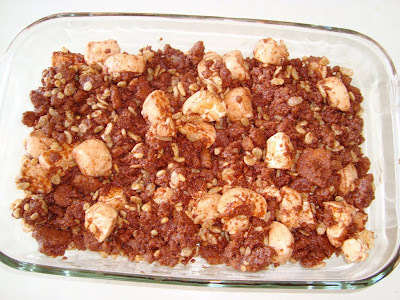 I'm making him a chex cereal/chocolate/almond thingy he found the recipe for right now! Yum! I've made these before from the same book! Aren't they just so addictive?! Any recipe that lets me throw in anything I want and comes out looking that good is a winner in my book, thanks for sharing!